Having already locked down their D&B track 'Falling' earlier this year, Aston Harvey & Matt Cantor, aka Freestylers, are back to the frontlines in the blink of an eye. Joining the ranks for this ’88 channeling ride is acid housemaster himself, Fast Eddie, who fires up 'The Sound' with his infectious microphone ministrations. The original mix of ‘The Sound’ has Freestylers firing the late-80s sound through the 2014 prism. With M1 piano lines, claps, 808 drum rolls and more tweakin' 303 than is conventionally healthy, they prep the stage for Fast Eddie. With the hip-house master in full lyrical flow, collectively they pull off the one big sonic jack-attack! Reverends of Rave and Mad Masters of break-core, early-90s outfit Blapps Posse (AKA the ‘Stylers own Aston Harvey & Jason Carter from Ninja Tunes’ Mad Doctor X & London Funk) serve the first of the mixes. They fast-forward (or rewind depending on how you look at it) ‘The Sound’ to '92. Sweeping rave chords, subby bass, MC vox drops (sampling their own underground track ‘Bus' It – It’s Time To Get Bzy’) and a filthy break all conspire across a pair of mixes. Sweden’s Zoo Brazil drops a classically themed deep house groove under ‘The Sound’. Keeping the acid on a slow rolling churn, it’s deep and uplifting! 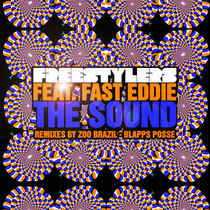 The Original & Zoo Brazil Mixes of ‘The Sound’ are out now on Rub-A-Duck Recordings. 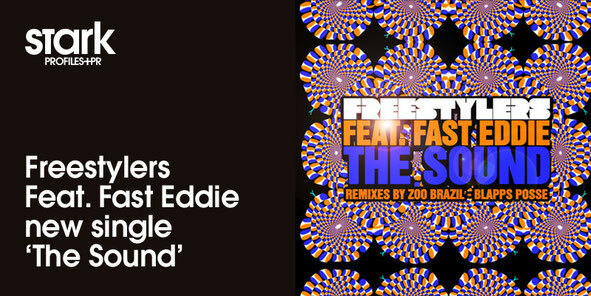 The Blapps Posse remixes are out 28 April.